The Department of Coffee and Social Affairs is a new cafe in Farringdon/Clerkenwell but feels like it’s been here forever. The highlights include chilled out dub music in the background, excellent coffee and a relaxed atmosphere. 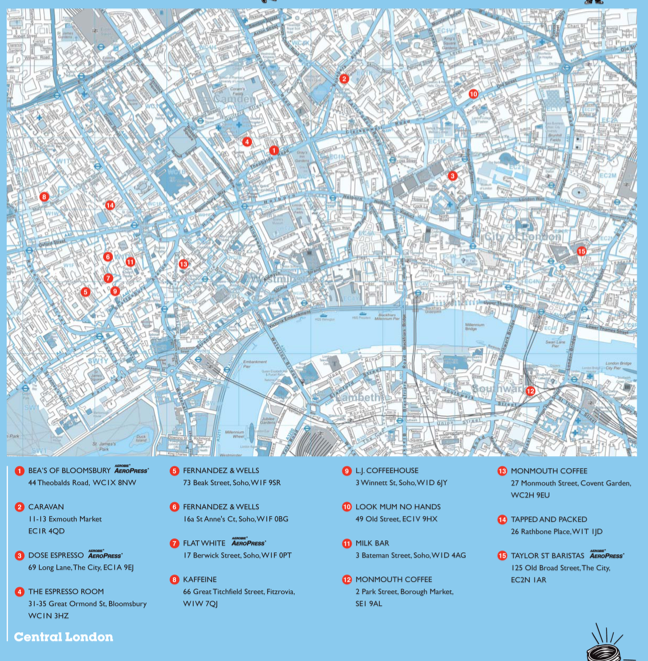 Department of Coffee is a real addition to the Leather Lane area and they are now opening new cafes in The City (Liberty of Norton Folgate), Soho (Speakeasy) and Chancery Lane. 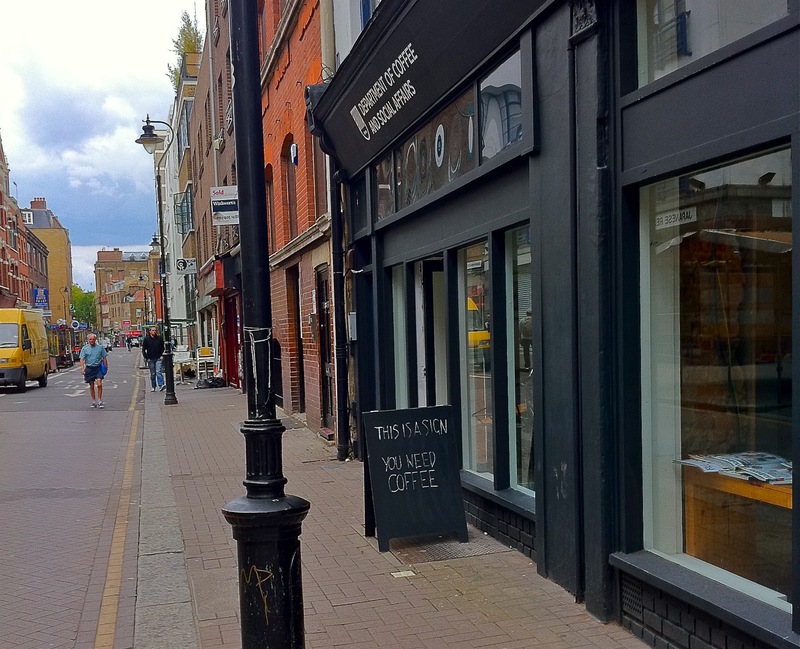 “A flat white is a small latte.” Said the barista at the Workshop Cafe in London to an enquiring British visitor. My ears pricked up. 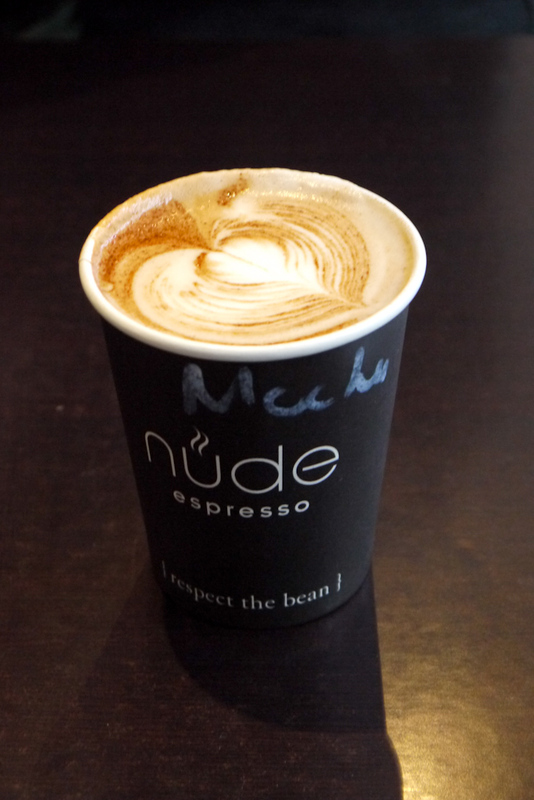 To me, a flat white is much more, but those Workshop Coffee guys really know their stuff. 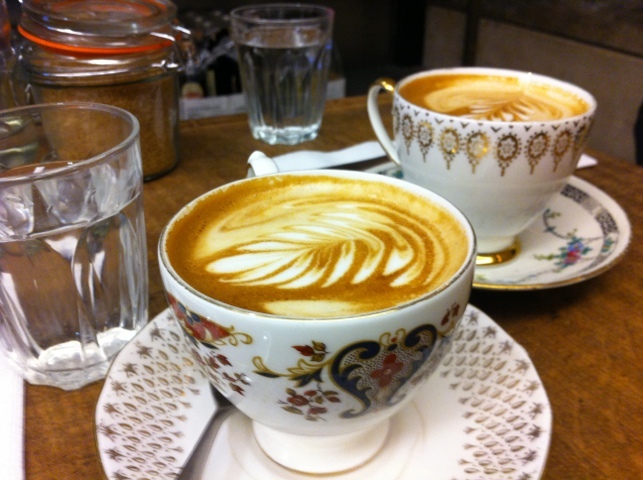 One of the great debates in the London cafe scene is the difference between a Flat White vs Latte. 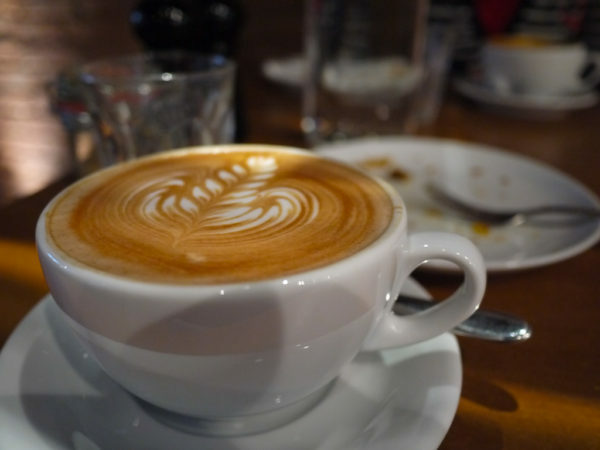 In some cafes, a flat white is just a small latte, but in others it’s an entirely different drink. Flat White from Foxcroft & Ginger pop-up cafe in a shipping container in Shoredtich. 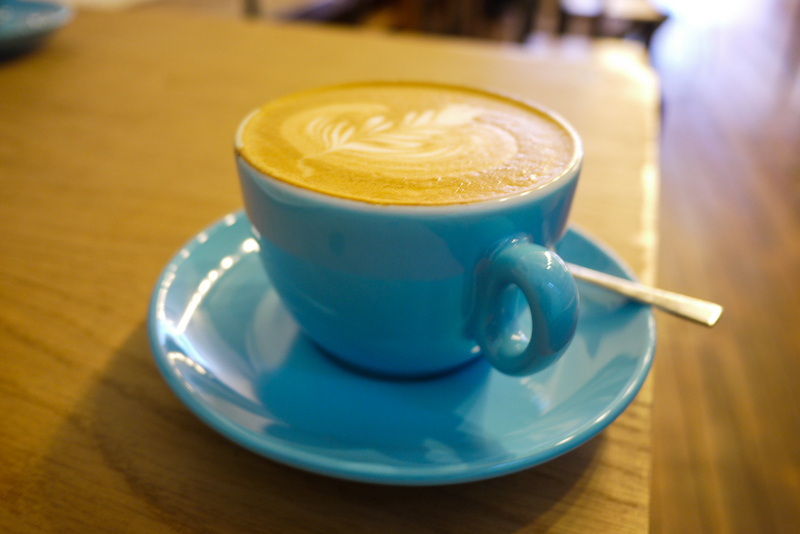 Continue reading What is a flat white? 86 Comments on What is a flat white?